“Include your primary keywords in your headline and ad text”. Google’s guide on improving ad quality reminds us to include keywords in the ad texts (especially in the ad’s headline) to “show people that the ad is directly relevant to their search”. Similarly, number 1 in Bing’s 10 Tips for Writing Successful PPC Ads is to “use your primary keyword in the ad title and ad text” to show searchers that your ad is exactly what they’re looking for. Sound advice in theory, and we see that sometimes the ad that includes the keyword in both headline and ad text does perform best in terms of Click-through rate. But often it doesn’t. The guidance is somewhat dated, and blindly following it can lead to a loss of standout and ultimately a lower CTR. Advertisers in both examples have clearly followed best practice, but as a user, I wouldn’t know where to click as none of the ads stand out. It’s not a one-size-fits-all thing. 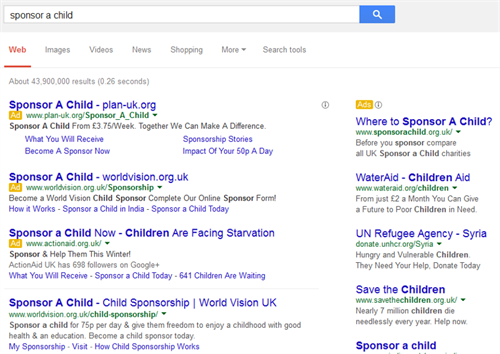 The ad that uses the primary keyword consistently isn’t always the one which performs best. Don’t underestimate the power of saying something different. Sometimes, omitting the keyword from the headline, the description, or even altogether can increase CTR on a results page where everyone is saying the same thing. 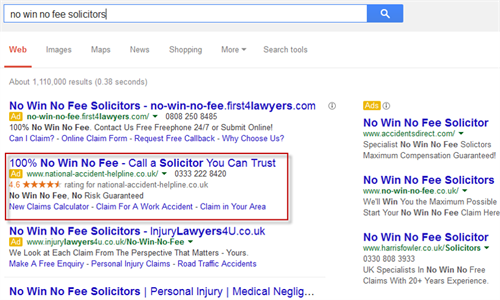 Take the SERP for the term ‘no win no fee solicitors’ for example. The ad below, although it is designed to take people through to a highly relevant no win no fee solicitors page, doesn’t use the keyword in full at all, but significantly out-performs the other ads in the ad group in terms of CTR. This aspect.co.uk ad does use the keyword in the headline, combined with a Google help centre inspired ‘we’d love to help’ message in place of the pricing reference used by other advertisers. Again, it’s the ad group’s top performing ad. Sticking with the ‘say something different’ theme, incorporating a truncated customer review into a PPC ad is a long way from best practice. However, when Hanna’s team introduced this aspect.co.uk ad which uses the keyword in the title followed by the first part of a customer review, it significantly out-performed the other ads in the ad group. The team has since rolled this format out to several other ad groups to the same effect. Don’t underestimate the importance of going back to basics. 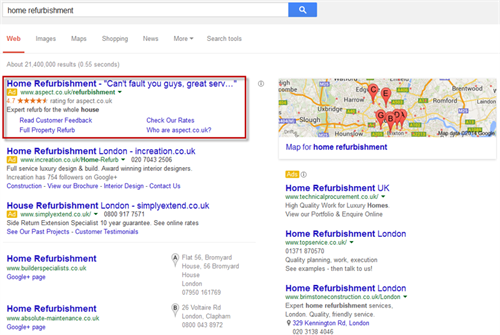 Analyse the SERP you’re writing ads for. Where would you click? Why? What would make you click? 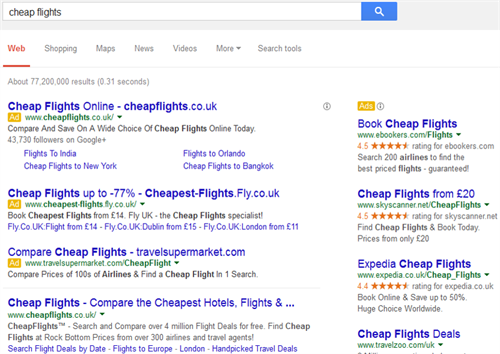 Test bold ads that stand out vs. ones that use keywords in title and description.